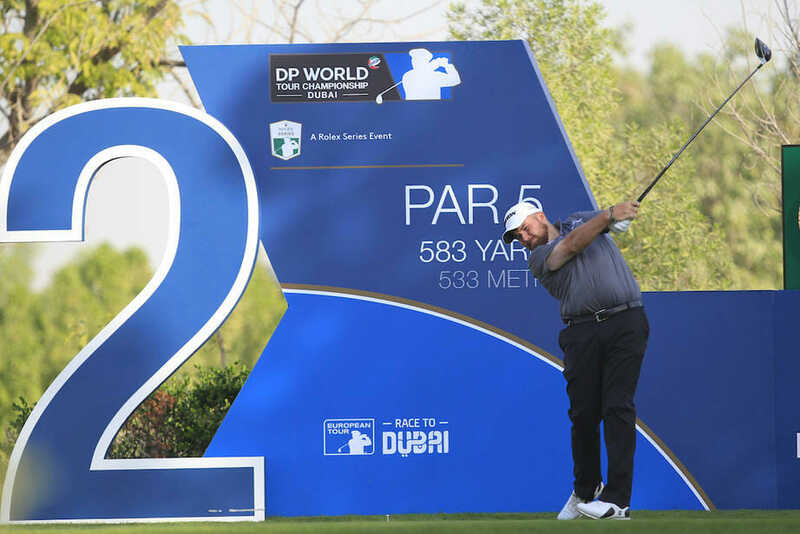 Paul Dunne and Shane Lowry got off to the perfect start on day one of the DP World Tour Championship in Dubai. Dunne, who started the week off in 15th spot in the Race to Dubai rankings, carded a flawless bogey free 67 to sit in a tie for fourth in his first competitive round on the Earth Course, and is already feeling comfortable on the visually appealing track. “To be honest with you the course looks nice and wide off the tee compared to last week. I had four days last week of the jitters on every tee box looking out at the bush in South Africa. The course this week definitely suits my eye a bit more,” acknowledged the Greystones professional when speaking to Denis Kirwan after his round. With a -20 average winning total taking the season finale title over the last three seasons, Dunne is only two shots off the lead after the opening round and well on target for another top finish. “It’s the 60 players that have played the best all season here this year so you know you need to be double digits under par to get up there and have a decent finish. It’s nice to get off to a good start, I would take three more of them!” Added Dunne. Paul was only 300,000 points away from the Top 10 in the Race to Dubai standings entering this week and is projected to move up to 13th after today’s round. 10th in the overall race would mean a bonus of €200,000 for Dunne, but it’s not the money he is focused on this week, rather EurAsia Cup qualification. Shane Lowry entered this week in form too, and an opening 69 left the Clara man just four off the lead in a tie for 16th. The last two times Lowry opened up with a round in the 60s in Dubai he went on to secure Top 10 finishes so the signs are good for another strong week. “Apart from the bad bogey I made on 12, I was very happy with that today, it was very solid. At the top, Patrick Reed fired a bogey-free 65 to take a one-shot lead after day one in Dubai. Europe’s Number One will be crowned at the end of the eighth Rolex Series event and Rose entered the week trailing Race to Dubai Rankings presented by Rolex leader Tommy Fleetwood by just 256,737 points. 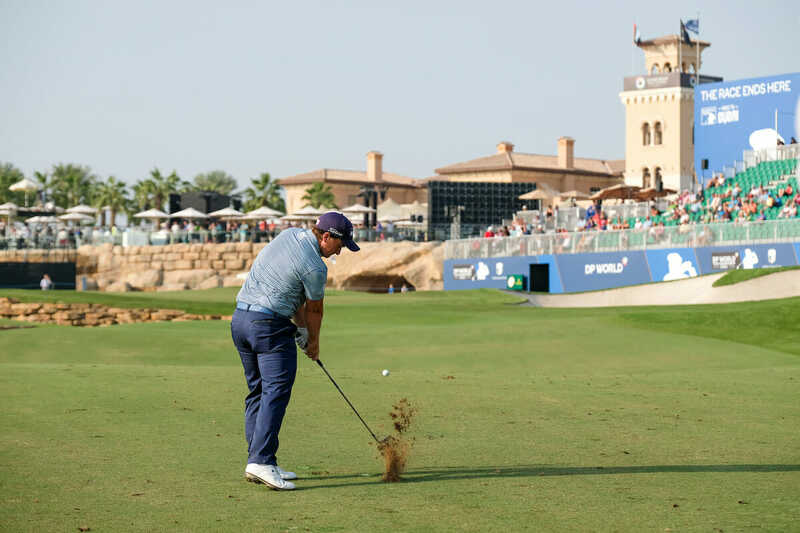 A six under par 66 left Rose a shot behind Reed at Jumeirah Golf Estates and with Fleetwood firing a one over par 73, Rose was the man leading the projected Rankings heading into day two. Australian Scott Hend was alongside Rose at six under, a shot clear of defending champion Matthew Fitzpatrick, Swede Alexander Björk, Ireland’s Paul Dunne, New Zealander Ryan Fox, Frenchman Alexander Levy and Paraguay’s Fabrizio Zanotti. Rose knows a third consecutive win will see him be Europe’s best for the second time, ten years after he first won the Order of Merit, but if he finishes lower than solo fifth Fleetwood is guaranteed the Harry Vardon Trophy. “There’s two things to think about this week: winning the golf tournament and winning the Race to Dubai,” he said. “I know that if I do one of those, the first one, then the second one happens. “I’ve just got to try and put together a really good final three rounds and do what I always do. “Really happy with that as a start. I wanted to come out today with good intent and get myself moving forward quickly. Been fortunate enough to have won the last two events but been doing so from quite a long way behind and you can’t always rely on that. Away from the season-long race for supremacy, American Reed is seeking his second European Tour title and was a picture of consistency in leading the way. “All I can hope for is just keep on playing some solid golf and put myself in position,” he said. Sergio Garcia can also win the Race to Dubai with a victory this week if other things also go his way and he signed for an opening 70.